We recount the successes and failures of the biggest names in the activism game. Editors' note: This article was originally published by The Deal, a sister publication of TheStreet that offers sophisticated insight and analysis on all types of deals, from inception to integration. On Dec. 1 The Deal will hold its annual Deal Economy Event featuring a some of the most notable dealmakers, activists and regulators in the industry. Click here to watch a live webcast of the event. Proxy season 2016 was busier than ever for activist investors, though the win-loss record when funds went the distance in a director fight favored management of their target companies. According to FactSet, 36 proxy fights went to a vote in 2016, with corporations winning 25 and activists only coming out ahead in 10 campaigns with one split. The total number of proxy fights was up from 31 that went to a vote in 2015, but the win/loss ratio was down from last year when activists won 14 and lost 16, with one split. The pro-management edge isn't surprising-most companies are willing to settle with activists to allow a few dissident directors onto the board if they know a loss is coming. There were a large number of settlements this year, in which activists got seats on their targeted companies' boards or otherwise convinced management to accept changes. With that in mind, TheStreet's sister publication The Deal looks back over the field and the year and choose the winners, losers and also-rans among major activist fund managers. Engaged Capital's Glenn Welling was one of the few activists in 2016 that really succeeded in driving an M&A agenda, and as a result of that success the fund had out-sized 2016 returns through October 31 of 15%, according to a person familiar with the situation. The fund had a double dose of success at HeartWare this year. First it launched a director-election contest that ultimately blocked the medical devices maker from making an acquisition Engaged deemed unacceptable. And then, a few months later, HeartWare agreed to be sold to Medtronic at $58 a share, a significant premium to Engaged's purchase price. Also, the parent company of Redbox DVD kiosks-Outerwall-agreed to be acquired by Apollo Global Management in a deal that was largely driven by Welling for $52 a share-a significant profit for Engaged. The fund reported in February that it had acquired a 14% stake at prices ranging from $26.54 to $38.88 a share. In May, Engaged called off a proxy contest as part of a settlement that installed two dissident director candidates to the board of MagnaChip Semiconductor. And while the director additions represented a partial win for Engaged, real success will come if Magnachip is sold in the coming months. A competitive auction process is underway and a sale could emerge shortly. Welling also succeeded at getting two out of three of his director candidates elected to the Benchmark Electronics board in a campaign that went the distance this year. That was a partial victory because a key goal wasn't achieved-Brendan Springstubb, a senior analyst at the fund, wasn't installed on the board. A campaign at SunOpta, an organic food maker, concluded with a settlement that added three directors to its board, including Engaged's Springstubb. The company also accepted an $85 million investment from asset manager Oaktree Capital, bringing to a close Welling's campaign. SunOpta's shares trade at around $7.32 a share, but it is yet to be a major win for Engaged, which acquired its 7.5% stake between July 15 and Sept. 13 at prices ranging from $5.03 and $6.90 a share. A real victory would be for SunOpta to be sold. It could fetch between $500 million and $800 million, according to industry followers. And some ongoing campaigns continue-Welling joined the board of Jamba Juice in 2015 and immediately moved to restructure the pay package of its recently installed CEO to focus on shareholder returns. Welling has been pushing the freshly-squeezed-juice retailer to convert itself into a fully franchised-owned company with the cash generated from franchising company-owned stores used largely for stock buybacks. Engaged acquired its initial 7% stake in 2014 at prices ranging from $10.65 a share to 12.54 a share, above Jamba's recent share price of $10.15 a share. Engaged acquired more shares at mostly higher prices and currently owns a 13.7% stake. The most high profile director-election battle of 2016, by far, was Starboard's Yahoo! contest. Smith sought to replace the nine-person board and reached a settlement for four board seats. The contest and settlement, which put Smith on the web pioneer's strategic review committee, was a major success for the fund and helped drive a $5.9 billion sale to Verizon Communications Inc. (VZ - Get Report) It also helped cement a successful year for the activist fund, which had returns of 10.21% as of Sept. 30, according to sources. Yahoo!, the largest stake in Starboard's portfolio, was accumulated between 2014 and 2016, at prices in the $20s, $30s and $40s. Starboard is expected to make a profit on the sale, once consummated, and it and other current shareholders will maintain the company's lucrative investments in Chinese e-commerce giant Alibaba and Yahoo Japan. Also in the wins category-Smith reached a deal in October with DepoMed to add three dissident directors to its board, a settlement that will make it more likely that the pain medication maker sells itself in an auction it began last month. With expectations that sale will be forthcoming, DepoMed's stock price has moved upwards to trade at $19.77 a share, above Starboard's purchase prices, ranging from $12.86 and $17.77. Nevertheless, a true victory for Starboard would be consummation of a sale at a premium. Another big success was Starboard's Insperity campaign. The fund nominated two directors to the board of the human resources outsourcing company this year and the two sides agreed to settle their differences to add a Starboard nominee to the company's board and add a mutually agreed upon independent director. These weren't the first directors installed by Starboard. After the fund questioned Insperity's ownership of corporate jets and other expenses last year the HR outsourcer agreed to name three directors affiliated with the hedge fund. Starboard acquired a 13% Insperity stake in 2014 and 2015 at prices in the $20s, $30s and sold about half of its position this year when it traded in the high $60s and low $70s. Even so, Starboard is facing what may be insurmountable headwinds with its campaign at Macy's. In January, Smith escalated efforts at the department store chain by issuing a presentation urging it to separate its real estate and unlock value for shareholders. According to FactSet, Starboard accumulated about 3 million shares in mid-2015 and amassed more shares as Macy's share price dipped downwards, before selling a big chunk in June. The department store stock price has been on a downward spiral only improving a bit lately upon some real estate sales. Nevertheless, its divestitures don't appear to be moving fast enough to offset the explosive growth of online shopping. Starboard also got three seats in February on the board of Marvell Technology and the stock price has been on an upward trajectory since then. It reached a settlement in October with Stewart Information Services to remove and replace two directors affiliated with the company's management and in September Smith's fund began a campaign to have Perrigo sell non-core assets. The activist fund's U.S. operations are up 8.4% in the first nine months of 2016, according to people familiar with the situation. That's not a surprise since Elliott Management has been on a tear of late when it comes to driving major M&A at targeted companies. Cabelas, American Capital, Qlik, Mentor Graphics and LifeLock - all sold after receiving Elliott pressure. After Singer urged a combination, Cabela's agreed to be bought by Bass Pro Group for $5.5 billion. The fund first opposed American Capital's plan to spin off a division and then the BDC sold itself after conducting a strategic review. In November, Siemens AG acquired Mentor Graphics and Symantec bought Lifelock, both bringing in significant profits for Elliott. In addition, Elliott's agitation at Qlik pushed the company to be acquired by Thoma Bravo LLC in a deal with a payout that marked a 40% premium over where the software company's shares were trading before the activist disclosed its position in March, and a 93% increase from its lows earlier in the year. And an effort launched by Elliott in October to have Samsung Electronics Co. break itself up may not be going as smoothly as planned for the activist fund. In a major announcement, last month Samsung refused to commit to overhaul its complex structure and broaden the reach of its listed shares, in a move that Elliott affiliates said was a "constructive first step." Clearly Samsung is a work in progress for Elliott. Nevertheless, it wasn't all smooth sailing for Elliott in 2016. In November, Imperva called off an Elliott-driven strategic review saying it will stay solo. Does that mean an Elliott proxy contest will be coming next year? Other campaigns are still in the undecided category. U.S. homebuilder PulteGroup struck a deal with Elliott in July to set up a $1 billion share buyback program and add three dissidents to its board, a mini-victory for Singer. The fund's managers calculate that with the buyback program, land and other initiatives its share price could double to $35 or $40 a share. Elliott also suggests that Marathon could have an 80% stock price increase if it moves to break up into three parts - though the campaign launched in November is facing serious headwinds in the form of opposition from the energy company's top executives. A campaign urging Cognizant to set up a serious capital distribution program and hike leverage for M&A just is getting started. The billionaire corporate raider-turned-activist continued his tete-a-tete with rival insurgent Bill Ackman in 2016 as the two moguls squabbled over the future of nutritional supplements company Herbalife. In August, Icahn said Ackman "had no right" to make unsubstantiated claims that the kingpin of the activist world was looking to offload some of his Herbalife stake. The investment, so far, is on the plus side for Icahn, who has five directors on the company's board and now owns a 24% stake. Will he take the nutritional supplement company private? Icahn also succeeded in 2016 at getting a deputy and billionaire fund manager John Paulson installed onto the board of AIG and the mega-insurer agreed to buybacks and restructuring but no three-way split up. 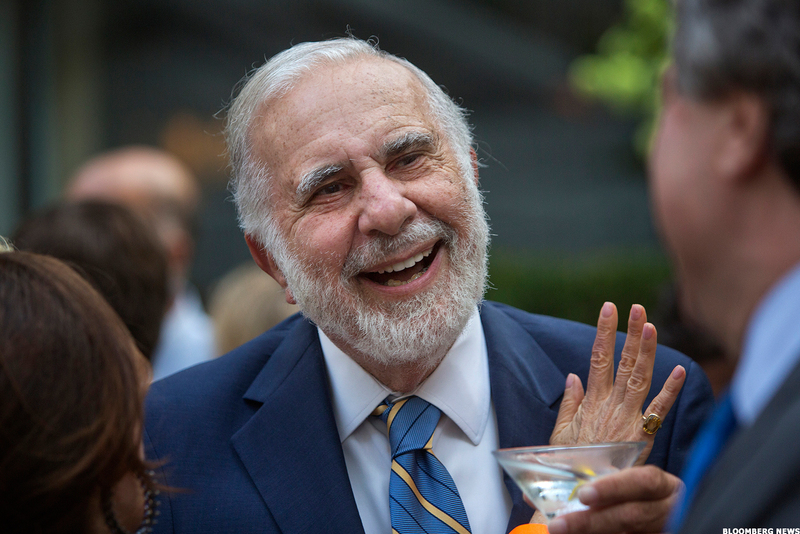 Xerox in January agreed to split into two under pressure from Icahn - and in June the office machines and services operator agreed to add a fund managing director to its board. For the most part Icahn has been quiet on the activism front in 2016 - focusing his public comments on Herbalife and President-elect Donald Trump, a close confidant. In fact, 2016 might be remembered as the year Icahn cut his losses in large energy investments. He slashed his position in Transocean to "recognize a capital loss for tax planning purposes" and he liquidated his stake in Chesapeake as its share price, hindered by a challenging macro-environment for oil and gas companies, slid downward. Icahn reported in 2012 that he had accumulated his initial 7.6% Chesapeake stake between April and May of that year at prices ranging from $13.60 to $18.03 a share, significantly higher than the energy company's recent trading price of $5.43 a share. The insurgent investor hiked his Chesapeake stake to 11% in 2015, accumulating shares at $14.15 a share but then later moved to significantly cut his position with sales at prices ranging from $7.19 to $7.56 a share. Icahn backed Freeport-McMoRan's move to sell its Deepwater Gulf of Mexico properties to help it cut debt. However, even with the asset sale, Icahn may have a way to go with the investment. He accumulated shares between July 17, 2015 and Aug. 21, 2015 at prices ranging from $9.75 a share and $16 a share. Freeport-McMoRan's shares traded recently at $15.78 a share. Nevertheless, look for an active Icahn in 2017. The billionaire has the ear of the President-elect and he also reportedly bet $1 billion on stocks in the early hours following Trump's victory as markets initially tanked, saying on Bloomberg TV he was happy with the investments. Ackman said recently that the embattled drug giant Valeant Pharmaceuticals can find its way out of a $30 billion debt swamp by selling non-core assets. However, the activist fund's friendly investment in the drug company is a big reason why Pershing Square has reported an abysmal -20.7% return for 2016 year-to-date as of Nov. 8 and -20.5% return net of fees for 2015. Pershing's trouble with Valeant - which has dropped from a high of about $257 a share in mid-2015 and now trades at around $17.45 a share -- has made it almost impossible for the insurgent fund to launch a new campaign. Almost. Ackman did step in at Chipotle in September acquiring a 9.9% stake and suggesting that he intends to engage with the burrito maker about board composition and "strategic" plans. The move comes after Chipotle seeks to move past food-safety problems, a condition described by a Pershing analyst as "temporary trouble." Under pressure from Valeant losses, Ackman liquidated his position in Canadian Pacific, cementing a major victory for the fund. Pershing had acquired an original 12% CP stake in 2011, at prices ranging from $46.41 a share to $63.52 a share, and engineered a surprising board takeover in 2012. In August, Ackman cashed in on his investment, selling a 6.6% CP position with the railroad company's shares trading around $147 a share. On the down side, it looks like Ackman's highly-publicized $1 billion short bet at Herbalife is a bust, in particular with billionaire Icahn now owning about 24% of the company. 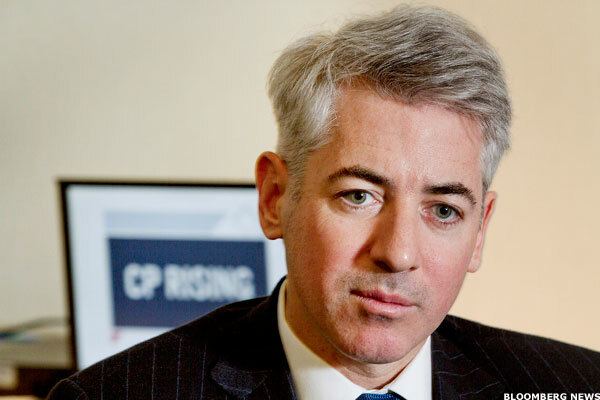 Appearing to accept that the investment isn't going to turn around, Ackman told reporters that his campaign at the nutritional supplements company would be his last "public short," where he agitates for why a company should be out of business.